When you hear a word or phrase we sometimes ask: "What does that really mean?" This blog highlights some common words or phrases that are used today and describes their origins. This word is used to indicate an outline, and originates from 18th century France. 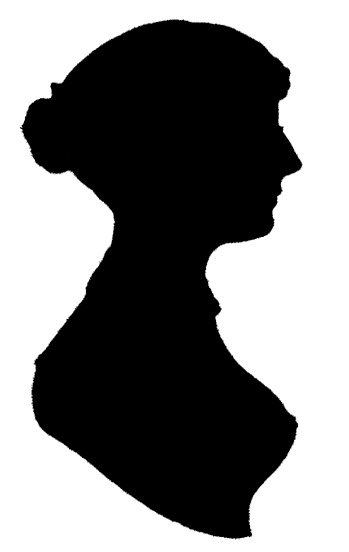 Etienne de Silhouette (1709-67) was the protégé of Madame de Pompadour, who was the mistress of Louis XV. Pompadour managed to secure Silhouette’s appointment as the Finance Minister of France in 1759. Due to the ravages of the Seven Years War (1756-63), Silhouette was tasked with securing funds to rebuild the French Army. His plan involved the implementation of new taxes on the nobility, which amounted to a luxury tax. Unfortunately, Silhouette’s new taxes were not popular with the nobility of France and he was soon forced into retirement within months. After this incident, anything done on the cheap was said in France to be à la silhouette. 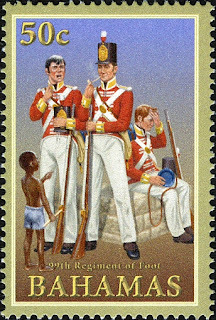 This included the new popular black-profile portraits that were becoming very popular in France. This should be a lesson to anyone doing something that might end up having his or her name attached to it. For poor Silhouette, he is now synonymous with anything cheap. We use this phrase today in reference to a major scandal or uproar. It is usually used when referring to political scandals, although, this phrase had a more literal use. 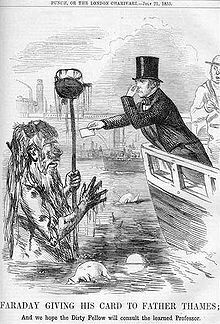 The Big Stink occurred in London in the summer of 1858 when the smell of untreated human waste permeated the city air. Just before 1858, the introduction of flush toilets increased the use of sewers, which before only carried runoff rain water. The increase of human waste in the Thames River and the unusually hot summer increased the smell in the city. Originally, the city had cesspits to deal with waste, but the cost of a shilling often meant that people could not afford to empty the cesspits. The Big Stink caused a great political scandal in London and pushed for new sewers to be built. This is why we call political scandals a big stink because originally it was. Thankfully political scandals today are not accompanied by a foul odour, at least most of the time. Thank you Brendan for suggesting this phrase. We use this phrase to denote someone who is elegantly dressed. It generally indicates wearing clothing of fine quality or can refer to someone who is just dressed smartly. It appears that the ‘to the nines’ part of the phrase is in reference to scale. Since one cannot obtain absolute perfection, nine appears to be the best. As well, nine is the highest single digit and perhaps this is why it symbolizes perfection. The origin of this phrase is difficult, as are many phrases that involve the word nine. Some claim that it refers to tailors who would use nine yards of material to make a suit. Others say it refers to the 99th Regiment of Foot for their sharply dressed uniforms. However, the term predates these examples. It appears that the term began in the 1700s, but no one knows the origin of this phrase. All I know is that if you have something important to attend, just make sure you are dressed to the nines. Thank you Alexandra for suggesting this phrase. This term has two uses today. Hootenanny can refer to items that people forget the name of, in the same way that we use the terms thingamajig or whatchamacallit. The second way that this term is used is in reference to a party or, in particular, a folk-music party. It was a little difficult trying to find the origin of this term, but one possible origin comes from the 1920/30s. A political party in Seattle held monthly music fundraisers for their organization that were called hootenannies. However, it is likely that the term was used before the 1920s in smaller regional areas to refer to jazz and folk music gatherings. In 1963, ABC aired a musical variety TV show called hootenanny that featured popular folk music acts. The show only lasted a year before being cancelled. It appears that you can buy those long lost episodes, check out the video. Today there are a number of different folk music festivals in North America that are called hootenannies. Despite the abundance of folk music festivals, I think I’ll continue to use the word hootenanny to describe items that I can’t remember. Thank you Amanda for suggesting this phrase. Many in North America have heard the term ship-shape in reference to high quality, but the Bristol fashion part is often not used. This phrase originates from the United Kingdom. 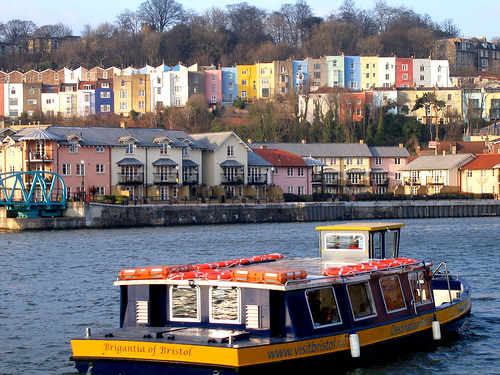 Bristol is a city in the U.K. that has served as a seaport for thousands of years. The city is several kilometres from the ocean and has a river where ships enter the seaport. 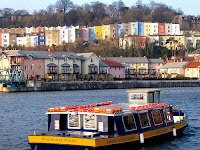 Bristol harbour is susceptible to drastic water level changes with the tides, so much so that before the 18th century ships would be beached during low tide. This meant that ships that were not of sound construction would be destroyed in the process. Furthermore, sturdy ships needed to ensure that their cargo was secure in order to prevent their contents from shifting during the beaching process. Ship-shape and Bristol fashion are two phrases merged into one. Ship-shape was first used in the 17th century and the Bristol fashion part was added in the early 19th century. Originally, the term was used to indicate the need to secure a ship's cargo during transport to being used today to indicate something of high quality. I’m not referring to the citrus fruit, but rather the use of the term lemon in reference to defective cars or other flawed products. We use the term lemon to denote the sour taste in our mouths after making a distasteful deal. It is difficult to pinpoint the origin of this term, but I was able to find some information. In the early 1900s, a pool hall hustle was called a lemon game and around the same time in Britain the term ‘to hand someone a lemon’ was slang for "to pass off a sub-standard article as a good one." 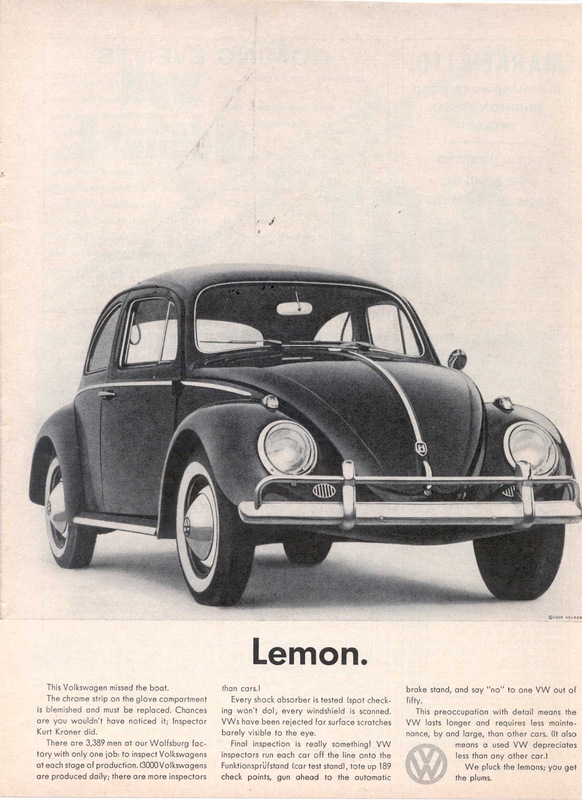 The word lemon for substandard cars gained popularity in the 1950s with one of Volkswagen’s ad campaigns. Volkswagen used the term lemon to denote any car that did not pass their thorough inspections. 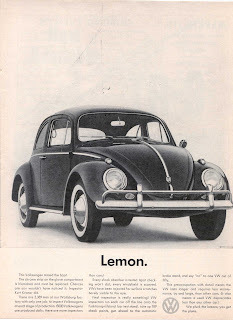 This campaign was considered a huge success and because of this campaign the use of the term lemon for cars became popular. You can view the ad here. Canada and the U.S. have lemon laws in place to protect consumers who purchase defective cars. Click here to learn more about lemon laws. Although, if you want to buy a car and you are not sure, I recommend you read this blog to distinguish between cars that are gems and those that are truly lemons. Thank you Lauren for suggesting this word. This is a term used to describe someone as open and honest. We also use this term to indicate when we want to be open and honest with someone. This term originates from the Frankish tribe. During the Middle Ages, most Germanic tribes were known by their weapon of choice. The Saxons were named after their preference for the sax, or short sword. No, the Saxons did not fight with saxophones. The Francs, on the other hand, favoured the frankon, or javelin, as their weapon of choice. The Francs were proud of their freedom and the term ‘Frank’ came to mean ‘free and open’ in English as early as the 1300s. There are some other words that use Frank, such as franchise, which means the holder is allowed to exploit the market as they see fit. 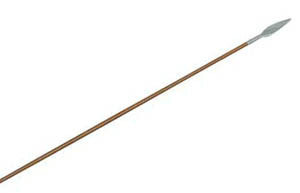 Be sure to think of the javelin when you describe someone as Frank.